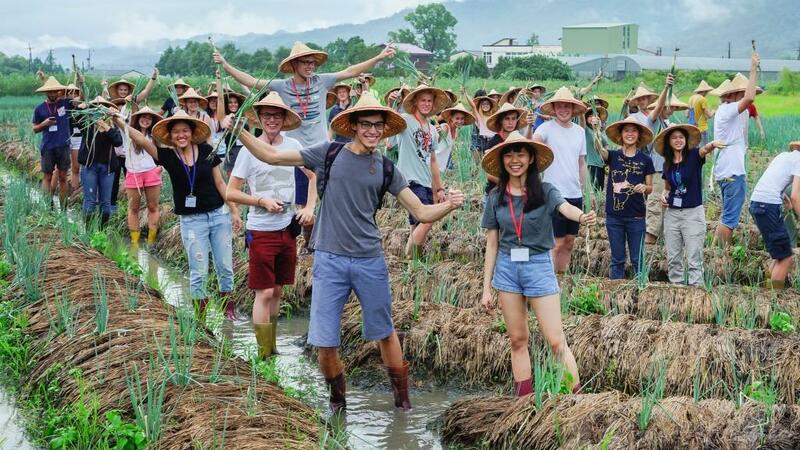 On September 5, the Office of International Programs will arrange a one-day cultural tour to Ilan County, where students will gain a better understanding of the Taiwanese culture. Come and join us on your first adventure in Taiwan. Also, students will team up with their local buddies to spend a fun filled day together. Taiwan’s delicacies are world famous. You can taste authentic cuisines from various regions within Asia. Tian’s Restaurant has incorporated the green onion into many of its dishes, striking a perfect balance between different flavors. This will be a great opportunity to have a one-of-a-kind experience of Taiwan’s unique food culture. For our next stop of the day, we will be picking green onions and making delicious scallion pancakes. If someone asks a Taiwanese where the green onions in Taiwan are produced, they will definitely answer “the Sanshing Township”. The clear water and fertile soil make it a perfect place for high-quality green onions. 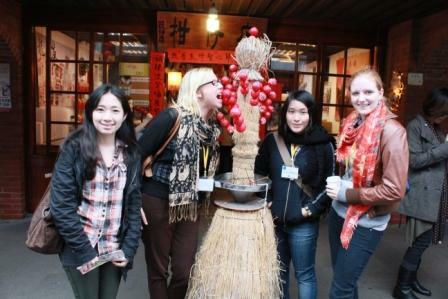 National Center for Tradition Arts is a must go place during your exchange and it is also another way to learn about local culture before starting your new life in Taiwan. This new 24-hectare facility is located beside beautiful Dong Mountain (Dongshan) River in Yi-Lan. In addition to organized displays and performances of culture and art, it also provides a stage provides a stage where performing artists can show off their creative works. The emphasis here is on the continuous propagation, innovation, and renewal of traditional arts. You can stroll casually among artistic creations, listen to elegant music, and enjoy exciting opera performances--and you can even participate in the process of artistic creation yourself. To top it all off, we will be heading to the Loudong Night Market. This is the perfect place for enjoying traditional Taiwanese snacks and also shop for clothes, accessories, and many other items. Loudong Night Market is one of Taiwan’s biggest night markets and is a wonderful place to shop and dine. Above all, this exciting cultural tour only costs 1,500 NTD per person and it includes transportation, green onion DIY fee, entrance fee, lunch, English tour guide, insurance and unforgettable memories. The deadline to submit your online registration is August 21st, 2017. Why wait? 1. Fees will be collected when you board the bus. 2. Due to limited seats and insurance regulations by the Taiwan Government, we will NOT accept on-site sign ups. 3. Once you sign up for the cultural tour, NO cancellation will be accepted. 4. Even there will be waterproof boots provided for picking green onions, please remember to wear socks due to hygiene issues, and we highly recommend you bring extra socks.